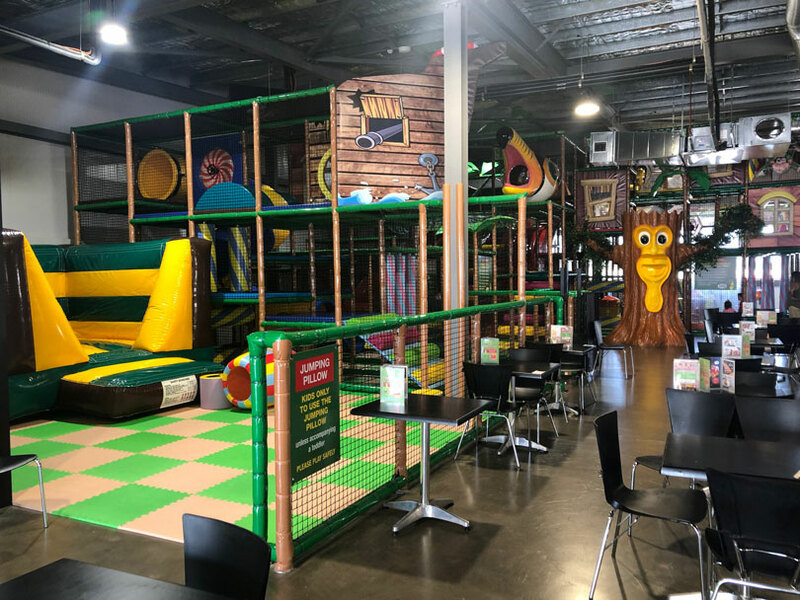 Croc’s Playcentre in Marsden Park is the newest addition to the Croc’s Playcentre franchise and the third Croc’s to open in Sydney. If brand new, shiny and clean playcentres are your thing then you should definitely check it out! We admit that playcentres make us a little nervous. While the kids always have a ball, we quietly wonder how a parent is ever meant to relax and enjoy one of these places! Often they’re chaotic, hard to supervise and the food and coffee can be fairly ordinary. But the Croc’s Playcentres are a little different. 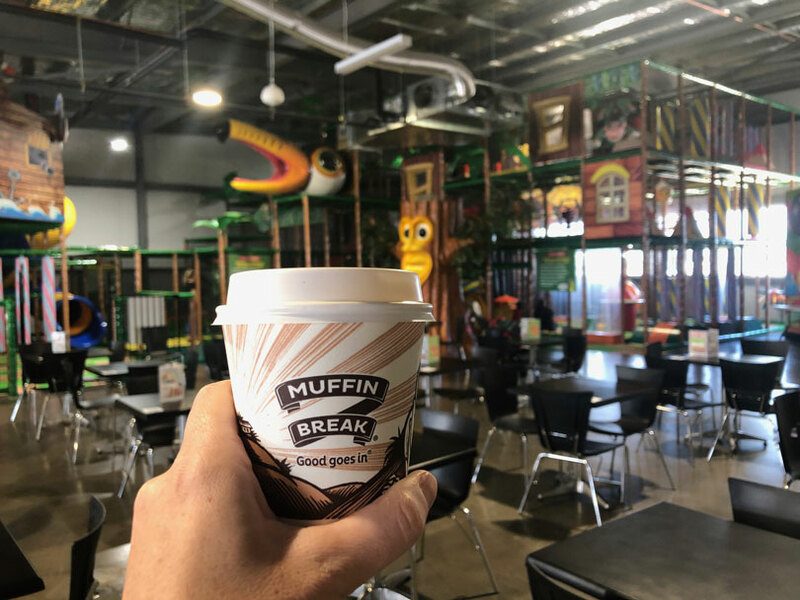 A Muffin Break is located within the playcentre, we kid you not! 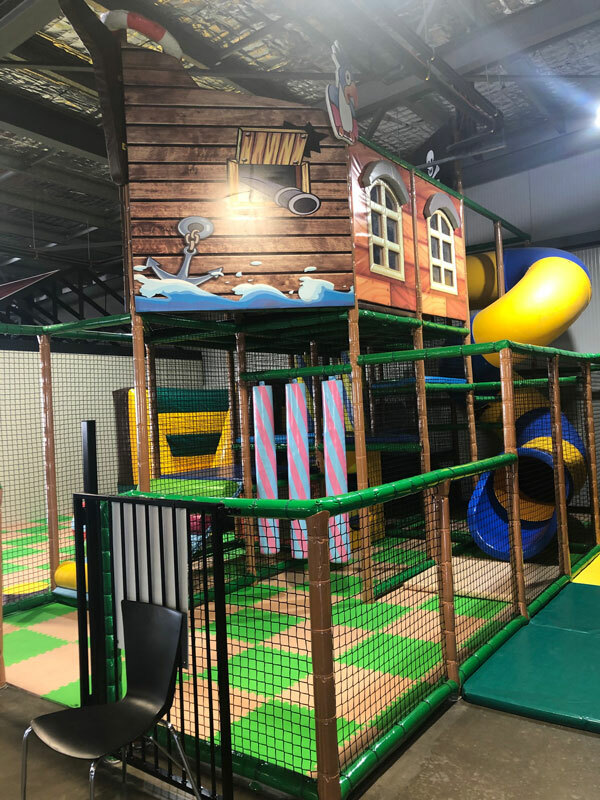 And the Croc’s Playcentre equipment is always located in a position that it is really easy to supervise your kids from a table close by! Croc’s Marsden Park isn’t overwhelming but there’s plenty to keep kids occupied for hours! So it seems this may just be a place where parents CAN actually relax! The play areas are split into three age groups. The area for under 18 months is a soft play area with some sensory boards. 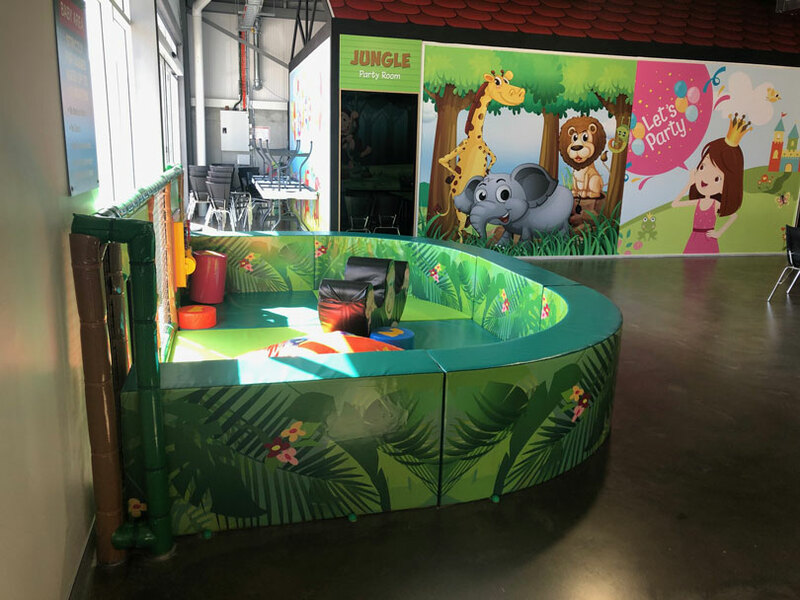 The next step up is the toddler area for children under the age of 4 and it’s a mini version of the big play area. Then there’s the multi level play structure for kids when they’re ready to tackle it. 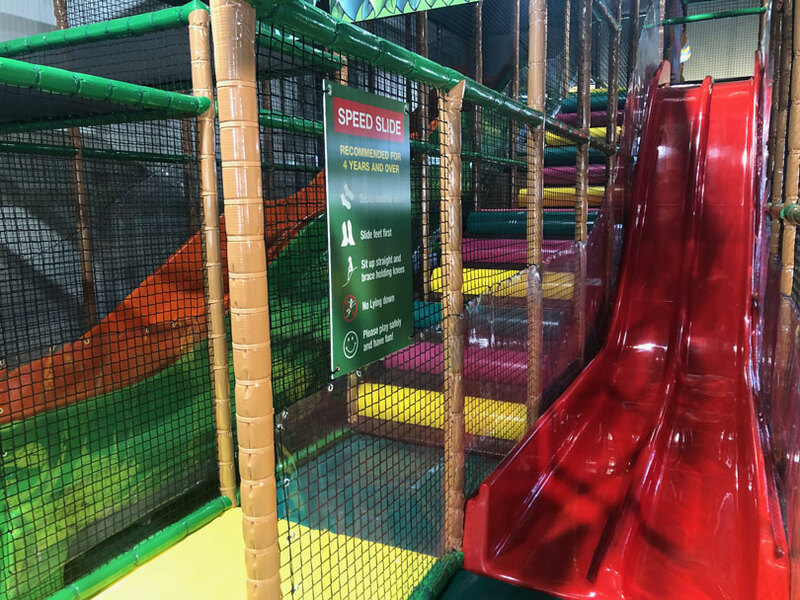 It includes two wave slides, an additional two lane speed slide and a foam battle ball area where kids can shoot balls with air-powered canons. There’s plenty of areas for kids to climb and explore. There’s also a jumping pillow for those who like to bounce. 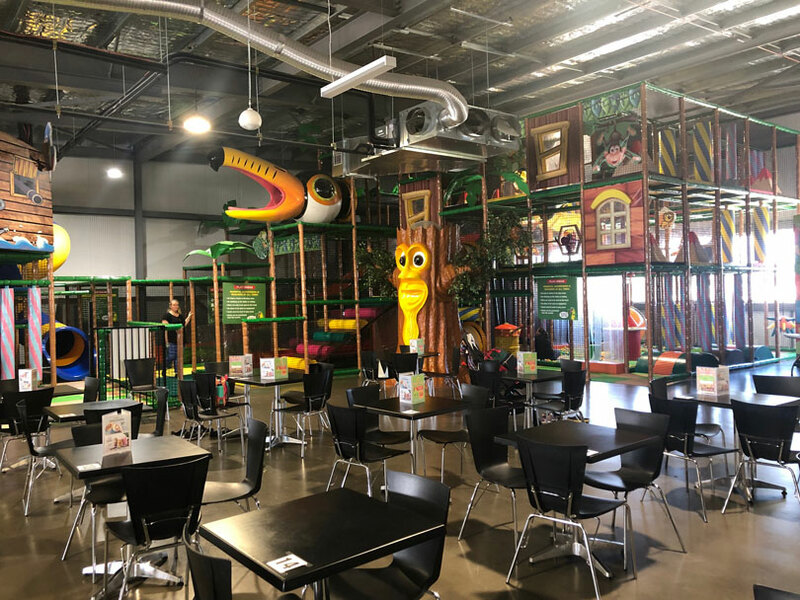 As with other Croc’s Playcentres, the Muffin Break Cafe is stocked with a variety of fresh food options for both adults and kids – some healthy and some treats. 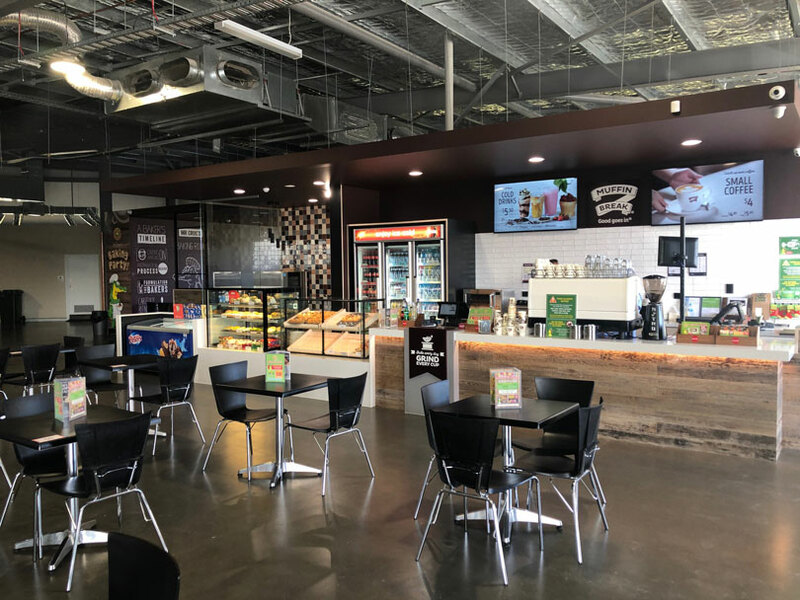 This is a great plus for parents and because the muffins are baked on site the place is filled with the aroma of freshly made muffins so it’s hard to resist! Also worth mentioning are the Croc’s party packages offered. 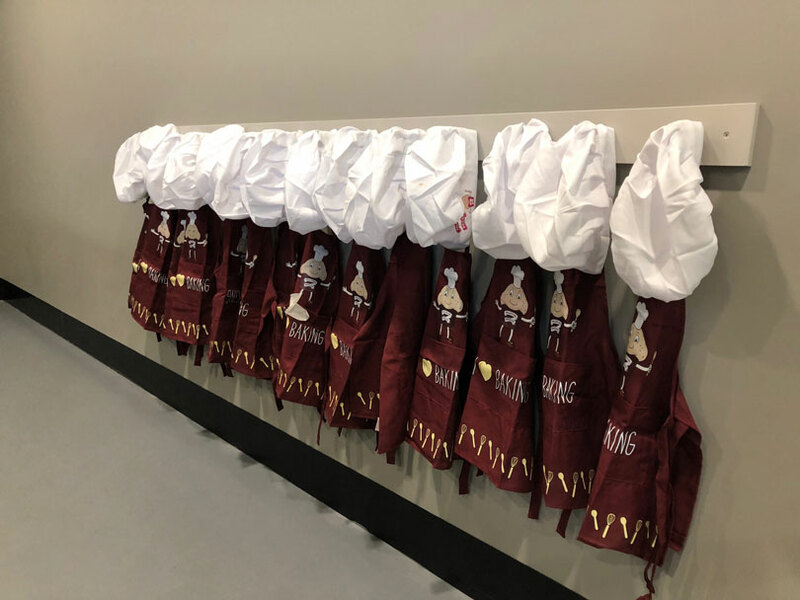 There are basic themed party rooms or you can choose one of the specially-themed party packages such as the Make, Bake and Create Party where kids make their own pizza, bake it and create and decorate a cookie to take home later. Cute! 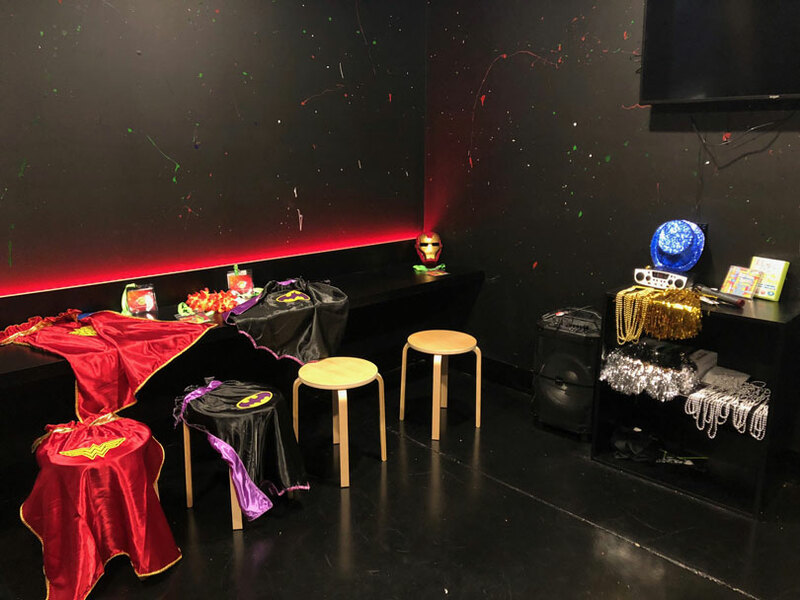 There’s also the disco karaoke party which is held in a disco party room that looks remarkably like a night club! Croc’s Playcentre Marsden Park is located on the top level of Marsden Park Home (9 Hollingsworth Road Marsden Park) and there’s plenty of parking in front of the building. The only challenge is finding the ramp up to the car park. Below is a map to follow. 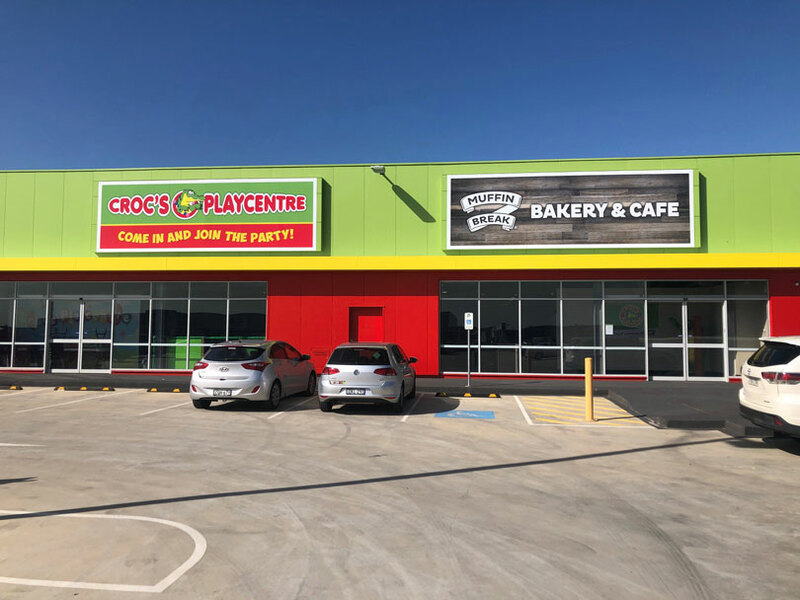 Croc’s is located above JB Hi-fi, so if you end up there just go through the white door up to the next level and you’ll find Croc’s Playcentre. 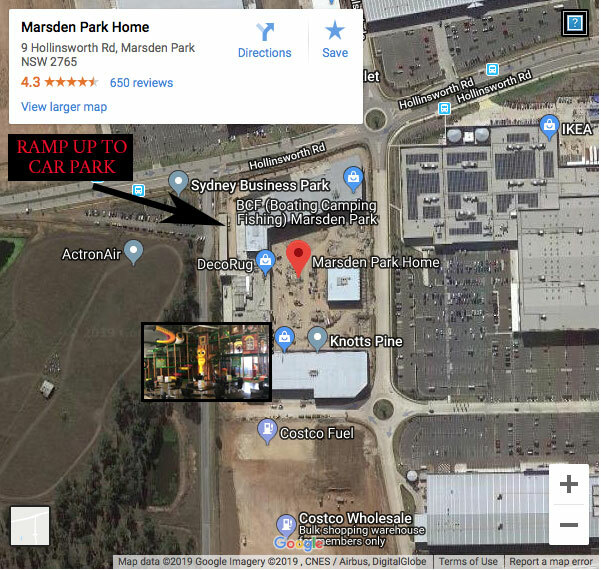 **Special offer for Hills District Mums*** Two for the price of one entry special for the month of April 2019. Available Monday to Friday, not valid during school holidays or public holidays. Not to be used in conjunction with any other offer. Just mention this article to redeem your offer. Playcentre hours: open 7 days 9am to 5pm.